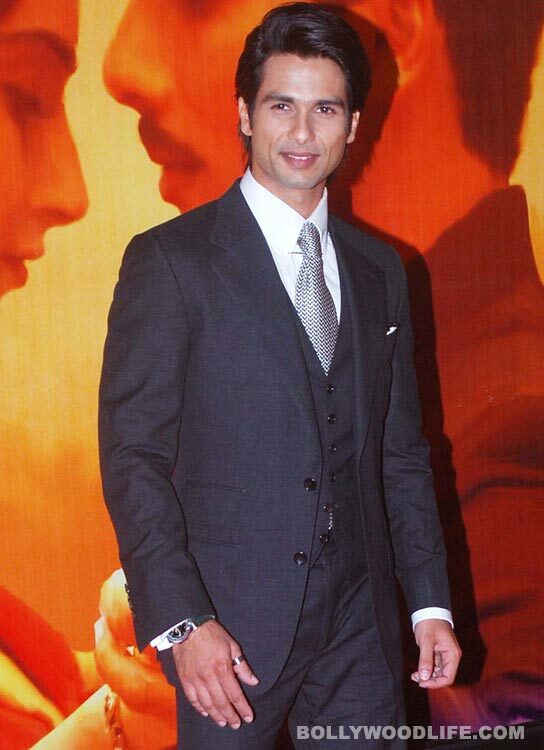 Actor Shahid Kapoor, last seen in romance drama "Mausam", says he loves watching romantic films. Some of those which are close to his heart include "Mughal-e-Azam", "Dilwale Dulhania Le Jayenge" and his own "Jab We Met". "I am fond of romantic movies as a viewer. Some of my personal favourites are 'Mughal-e-Azam', 'Devdas' (old one), 'Maine Pyar Kiya', 'Qayamat Se Qayamat Tak','"DDLJ', 'Jab We Met' and 'Vivaah'... there are lots of them," Shahid told IANS. What is it that he likes about these films? "It is their innocence and simplicity," said the 30-year-old. Shahid Kapoor flies to Greece for Bipasha Basu? Shahid Kapoor, who is on a ten day holiday to Europe had apparently planned his visit to Greece to spend more time with Bipasha Basu. Bipasha is reportedly in Greece shooting for her upcoming filmShaadi Fast Forward opposite R Madhavan. Shahid Kapoor, who is on a ten day break has been touring Europe and will reportedly spend time with rumoured girlfriend Bipasha Basu. It was even rumoured that Bipasha and Shahid had fallen apart since Bips was upset that Shahid was ignoring her. However, the two were apparently spotted chatting with each other for a long time at the Mausampremière. It was also being said that Bipasha Basu was upset that Shahid was cosying up with Baand Baaja Baraatgirl Anushka Sharma. However, as per sources, Bips and Shahid have decided to make their relationship work and will be spending quality time in Greece to sort out their differences. Hope the romantic valley of Greece does some magic and brings in some romance back into the lives of Shahid and Bipasha. What say guys? Shahid Kapoor is having a blast in Spain right now. Says a source close to the actor, "Shahid was in Madrid and Barcelona. Contrary to reports, Shahid's backpacking itinery doesn't include Greece. Shahid's friends in India know about his activities through his phone status messages. Right now it says he has just returned "from a 14-hour party and is dropping dead". One can see that Sasha is really having a blast with his all-guy gang!" Does this mean it's only stag parties for him post his parting of ways with with Bipasha Basu? Did Anushka and Shahid kiss at Imran's party? According to the report in an English daily,Badmaash Company co-stars Anushka Sharmaand Shahid Kapoor engaged in a lip-lock atImran Khan's Mere Brother Ki Dulhan success party. But Shahid Kapoor denied the report on Twitter, saying it's just a figment of a journalist's imagination. 'Extremely distasteful story in mirror today ...some journalists need to really understand where to draw the line between imagination and Reality. Sad. Unfair. Makes me angry,' he tweeted. Why is Shahid Kapoor doing ‘Knight And Day’ remake? After the brief impersonation of Tom Cruise in Top Gunfor Mausam, Shahid is supposed to lead the official remake of the Hollywood superstar’s last film. We wonder if it’s really that big a deal! A tabloid reported that Shahid Kapoor has grabbed the official remake of Tom Cruise’s last action drama Knight And Day. Siddharth Anand, the director of the box-office disaster Anjaana Anjaani, will be at the helm of the Hindi remake for the original producers Fox Studios. However, it won’t be an exact copy of the Tom Cruise-Cameron Diaz romance-action flick. It will be adapted to suit the sensibilities of the Indian audience. While our star actor and his campwallahs can jump with joy with the big news, we don’t really think it is great news. Actually, we don’t mind saying that it’s a tad too desperate for Sasha and the Hindi filmmakers to attempt a remake of the average film Knight And Day. And we have our reasons for it. - While Hollywood star Tom and Shahid are on the same plane as far their height goes, our Bollywood hero is far from being an action man- an image associated with Tom Cruise. - And last, but the most important reason is this: why would the Indian audience want to watch a very recent release (2010) that was in any case dubbed in several local languages. So do you get the point we are trying to make? Moreover, it seems Bollywood is running low on originality. After regional remakes and sequels we now have to deal with official remakes! Tanu Weds Manu, a film that turned out to be one of the most surprising hits of the year, did not just help director Anand Rai score the first hit of his career but also helped lead actors Kangna Ranautand Madhavan get their first major solo hits. However, for the sequel, director Anand Rai unlike other film makers, is in no mood to stick to his winning cast. Reportedlty, Shahid Kapoor might be the one romancing Kangna in the project. Madhavan, who played Manu in the film will no longer be a part of the sequel.